​(1) never mix one tartan sett with another (some have tried, most have failed); (2) always pair your tartan wears with tonally accentuating accoutrements of either a simple solid or muted finish (i.e. no stripes/adventurous colours/etc. ); and (3) only wear but one or two articles of clothing within the same tartan sett (given the second is an accessory/latter half of a suit) at a time so as to best afford them the proper spotlight and staging they require to leave their mark in a tasteful sartorial manner. Having said that, it certainly stands to reason that each of us has indeed come to hold tartans (or rather plaids for those residing in the U.S.A.) in a very different esteem seeing as there is arguably no other (worldly acclaimed) family of patterns capable of both continually dividing (sartorial) opinion and connotatively evoking the festive spirit of the holiday season quite like that of Black Watch, the Royal Stewart, or even Macleod tartan (amongst others). Be that as it may, there is but one (in my humble opinion) that stands tall above the rest to which you could say has become as notable for its universally flattering, versatile and accommodating palette as it is for both its handsome and timeless form and spellbinding holiday appropriate splendour: the aforementioned Black Watch (i.e. Government sett/Ancient Clan Campbell) tartan. Being rich yet naturally subdued in its unique aesthetic rendering, enchanting in its romantic Scottish sensibilities, and sartorially well-appointed in its vintage heritage and tailoring appeal, the iconically roguish green, blue and black intersecting colourway of the 'Watch' is simply peerless in its ability to at once nostalgically channel the festive resplendence, heightened sense of formality, and sartorially genteel intrigue that is eternally affixed to this most wonderful time of year (not to mention the discerning dressing habits of the style-conscious amongst us)..
​Framed in such a regard, it should be rather evident as to why it has become to many a natty modern dresser his party season style trump card, the most elegantly playful wardrobe wingman he could hope for (i.e. a conversation starting piece if there ever were one), and a smart-casual bridging utility player of the highest order that has stayed true to its deeply-seeded Highlander roots erstwhile effortlessly adapting to the rakish styling proclivities of the modern gentleman all the same — it is a pattern of endearing style and substance that simply never fails to impress. To that end arguably the safest (and perhaps ideal) introductory tartan for any who have (until now perhaps) remained upon the tartan sporting sidelines, it warrants particular note that any wardrobe staple handsomely rendered in its distinctive Sett (see below) — from trousers, slippers and dashing dinner jackets through trench coats, luxurious scarves and flannel shirts -- will all but ensure your best foot (quite literally if you opt for black watch Albert slippers) is always put forth throughout the holiday party season (or any other mind you) so as to allow you to make a sophisticated statement of refined sartorial intent to one-and-all who crosses your path on the daily — be it family, friends, professional colleagues, or even casual bystanders. 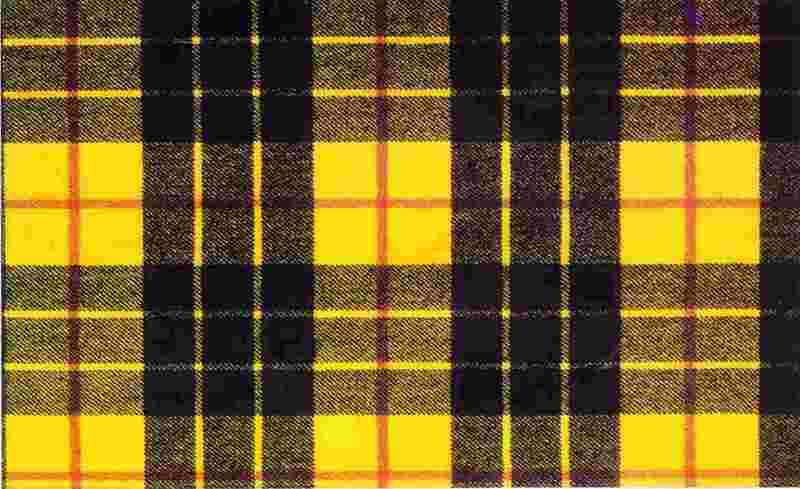 Descriptive superlatives aside, what also bears mention about Black Watch tartan is that it, unlike its less versatile and more casually laissez faire/ Regally specialized plaid brethren, has earned its endearing notoriety as consequence of a unique bonding of romantically-tinged heritage design, dutiful militaristic regimentation (that continues to this day), and duplicitous (civilian) day and evening wear sartorial malleability. ​The result: a highly credible and covetable pattern of broad appeal and cultivated sartorial gravitas that has both business and pleasure, as well as traditional and contemporary, styling sensibilities eternally attached to it. All that having been said, the role I believe Black Watch tartan best fulfills is in helping one rakishly channel the spirit of the holiday season in a very tastefully consider manner (i.e. no ugly Christmas jumpers to be seen) whilst reflectively instilling a seemingly cool, understated and comfortable confidence upon wear that hits all the right sartorial high notes. Inasmuch, and after having transcended time as well as the fickle vicissitudes of fashion and trends for near three centuries strong, at the end of the day what Black Watch tartan can be defined as is a refined, albeit provocative pattern of the highest order that is sartorially primed to both satisfy any enterprising seasonal, formal or leisurely styling proclivities one may have as well satiate the discerning tastes of even the most accomplished of dressers amongst us who find great pleasure and solace in wearing patterns cut from its cultivated cloth. My overall point being is that Black Watch tartan is (arguably) the easiest and most accommodating (to all shapes, sizes and skin tones) and versatile of all tartan setts to wear; a design that is as equally at home worn upon the streets in a considerably more casual/ruggedly staged capacity (i.e Black watch flannel shirts and field jackets) as it is as a subversive black-tie alternative (adorned upon dinner jackets, trousers, bow-ties and cummerbunds) to add personality and a joie de vivre to what would otherwise be sartorially drab formal/festive affairs. And so that is why I believe Black Watch tartan is the ne plus ultra of (heritage/clan) tartans as well as a bonafide jack-of-all-trades that has dutifully served Scottish clansmen, British Royalty, politicians, athletes, rockstars and average gentleman much alike you or I for the better part of two centuries without fault; It is a plaid, in other words, that has left a rakish mark upon the world and is wholly deserving to be called time-and-again into active (sartorial) duty no matter the nature of the social, professional or festive occasion awaiting at hand. ontrary to popular belief, tartans are — Black Watch included —indeed not in fact solely a Scottish export but rather a family of ancient woven patterns purportedly with origins dating back to third (3rd) Century China. However, and as pop culture (i.e. literature, film and television) has seen fit in continually championing hitherto, tartans on the whole have nevertheless always been romantically framed as being at once undeniably Scottish, often the byproduct of regimented military conscription, and (above all else) quintessential to the nation’s underlying identity. And yet if truth be told, the widely held clan-based origins theory commonly affixed to the likes of Black Watch tartan is believed by many historians to be but a ‘little white lie’ seeing as many have come to otherwise ascribe to the likelier notion that Highland tartans came to be as a direct consequence of a marriage of what resources were readily available locally (i.e. regional pigments, textiles, etc.) for villagers/clans/weavers to utilize and the sartorial fancies of but a few powerful figures — notably General Wade, Commander-in-Chief in North Britain, and King George I — rather then being explicitly derived in form and function from any sort of preexisting `Clan' based significance that historically predates the patterns conscription into the realm of militaristic service at the beginning of the 18th century. To that end, there is nevertheless empirical evidence that suggests by 1725 a variety of Independent Highland Companies may well have indeed arguably been outfitting themselves in the same distinctive Ancient Clan Campbell sett (with slight derivations in colour from one company/village to the next) that was destined to become — by the Royal Decree of King George I in 1739 — the uniformed tartan of England’s first Highland regiment: the ‘Black Watch’. That having been said, and aside from a Constitutional proscription wherein the sporting of Clan tartans was prohibited by law in the Highlands from 1747 to 1782 after the rebel Jacobite’s defeat at the Battle of Culloden in 1746, Black Watch tartan has (throughout its gilded existence) since become (intermittently mind you) synonymous with everything from the still active Black Watch regiment (and, of course, Clan Campbell) and the historic Royal House of Stewart (alongside its more esteemed cousin the Royal Stewart tartan) through 1960s’ (preppy) Ivy League Trads, 70s’ countercultural punk/grunge revolutionists and (to this very day) fine Savile Row tailoring houses. Historically speaking stylishly posited as the signature day-to-day tartan of choice for many common Highland folk and regimented (Clan Campbell) companies alike (it was exclusively spun, dyed, woven and fashioned locally upon its initial conception), the 'Watch slowly gained broader sartorial notoriety in the latter stages of the 18th century only after tartans on the whole began to catch the eyes of wealthier families (i.e. aristocrats) both within Scotland and beyond who were instantly drawn to its country attire styling sensibilities — those who could afford to commission tartans in richer fabrics coloured with imported dyes anywhere in the world. Fast forward to the beginning of the 19th century wherein you will find tartans by and large being romantically re-christened in (sartorial) form and (social) function after King George IV's to Scotland in1822 to which the result was the widespread popularization of (regal) ‘Highland Dress. More influential, however, during this century in furthering the cause of elevating the station of ‘tribal’ tartans were HRH Queen Victoria and Prince Albert who together helped usher in the Victorian ‘tartan craze’ that effectively endured for the length of her prolonged reign upon the throne — they were, in such an instance, arguably the world’s first trendsetters (or rather ‘fashion influencers’) in that they took tartans (for the first time) to the height of fashion. 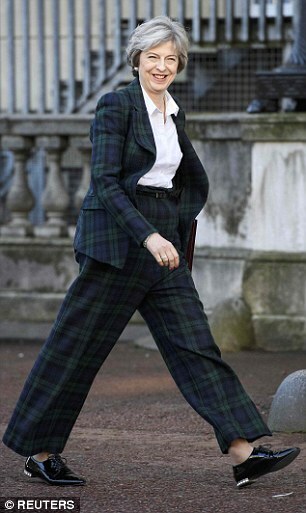 Since the days of Victoria having ebbed-and-flowed in popularity for the better parts of the last two centuries, tartans like Black Watch (and the Royal Stewart) have indeed come for (commercialized) circle in currently being worn worldwide (and not just by ex-pat Scots mind you) by one and all. Be that as it may, I would be remiss should I not make particular note of the fact that Black Watch tartan in itself has (from its foregoing that is) been primarily utilized mainly in a regimented militaristic capacity (with the contemporary era withstanding of course) throughout its existence as is evidenced in the reality that Scottish Highlanders (and Commonwealth Black Watch regiments worldwide) have continually relied upon its handsome heritage checked design for what has been roughly 270 years (or so) of active service in a vast spectrum of renditions (be it kilts, tam o’shanters, dinner jackets or umbrellas) and tonally variable setts (i.e. lighter ‘Ancient’ Black Watch colourways for day wear/darker, more regal and modern Black Watch for evening affairs) that have all managed to stay true to the original Clan Campbell heritage tartan template of blue, green and black that was first proffered centuries ago. To wit, it, much like any other woven heritage Highland clan tartan of true enduring merit, does indeed arguably owe much of both its enduring cultural clout and endearing sartorial reverence to its now deeply-seeded militaristic roots and traditional functional purposing: as the proud, symbolic and stately uniform of burly, heroic Highlanders and those in the infamous “Black Watch”. ​But, what was the ‘Watch’ and what significance does it have in regards to the tartan bearing its name? Having initially been (purportedly) ‘raised’ in 1695 to police the ‘Black Trade’ of cattle smuggling in the Highlands before being first promoted into a standing militia in 1725 and subsequently into Britain’s first Scottish Highland regiment in 1739 after King George I amalgamated six of the strongest Independent Highland companies — three from Clan Campbell as well as one each from Clan Fraser of Lovat, Clan Munro and Clan Grant — into the 43rd Highland Regiment, the ‘Watch’ was fashioned as a standing army of loyal Highland clansmen primarily assembled, tasked and authorized by the (British) crown to disarm and apprehend any rebel Jacobites (after their uprising in 1715), Black Trade cattle smugglers, or criminals who traversed their lands that saw fit in challenging the crown or its rule of law. Henceforth they quickly became forevermore immortalized as the /Reicudan Dhu/ or ‘/Am Freiceadan Dubh/ (i.e. “The Black Watch”) and their formerly diminutive regimented Black Watch tartan soon after deemed the official Government Sett (i.e. Tartan) — the first notable strands in its rakish sartorial tapestry had been woven. Militaristic history aside, and as for the unique Black Watch patterned sett in itself (which is most commonly woven in wool or silk), it warrants peculiar note that it was initially designed and cast into the role of a distinguishing badge of honour presupposed to function as natural camouflage — crafted with function rather then form in mind — so as to help members of the regiment to better blend in with the warm, natural palette of the British countryside/Scottish Highlands, operate in comfort in its hardy climate, and too flaunt what was to become a revered regimented tartan that continues to romantically symbolize the national Scottish aesthetic as it is so very often proffered to the masses: bold yet understated, eminently practical, characteristically roguish, and ruggedly refined. To this very day playing off of such endearing Scottish sentiments without fail whilst being fashioned upon everything from traditional Scottish kilts and immaculate Dinner jackets through pillows, hats and scarves, Black Watch tartan has certainly lived many lives and adorned nearly every single type of menswear garment to have ever graced a gentleman’s wardrobe whilst likewise also still being continually called into conscripted duty by Black Watch regiments worldwide to serve in both the field of battle and during traditional remembrance and festive holiday celebrations.. Beyond that, what indeed is worth final note is that Black Watch tartan is — according to the Duke of Argyll— the most common and ‘plain’ of the four authentic (Clan) Campbell tartans (the other three being Campbell of Breadalbane, Cawdor, and Loudoun) as well as a pattern not only romantically entangled in Scottish lore but also eternally faithful to the cultural traditions of one of the nations largest Clans on the whole — it is a mark of pride, distinction and (local) heritage upon its wear all the same. Howbeit remaining true to this day to the intricate craftsmanship and roguish Scottish symbolism of the days of yore, modern interpretations of the iconic ancient Black Watch sett have delightfully retained the rakish panache and romantic connotations affixed to those once worn by Rob Roy and his ’sons eons ago. Taking that into consideration, I do believe it would not be a stretch to deem it a hero pattern of the highest order given it is arguably peerless amongst all tartans in regards to its social utility, versatility in wear, modern styling sensibilities and enduring heritage draw. Having in such regards dutifully carved itself a sartorial mystique that is reflectively timeless, intriguing and well-appointed, it is truly the easiest tartan to work into most any formal or casual looks —a feat not even its much louder, regal and esteemed older brother the Royal Stewart can lay claim to. All that having been said, and respective of whether you buy into its 3rd century Chinese origin theory, are drawn to its subtle statement-making design, or have become besotted by its popular romantic Highlander positing, at the end of the day it should go without saying that it has fastidiously cultivated a rich and storied history of its own that is marked by a strong, enduring sense of identity that has been candidly flaunted as well as rakishly subverted throughout its centuries spanning existence by most every facet of society and type of gentleman to have graced the planet — be it Royalty, rockstars, politicians, burly Highlanders or style-conscious metropolitan gentlemen of a dizzying professional array. So, whether it arrives in the stylized form of a classic flannel shirt, kilt, suit, trench coat, pair of Albert slippers, varsity jacket, sofa, carpet, linens…or even the interior of classic automobiles, it is (in)arguably a handsome checked plaid beyond compare that both style-conscious gents and bonnie lasses worldwide alike can rely upon with complete confidence to continually impress without fail. Bold yet accommodating, historically venerated yet modernly sensible, and rakishly posited albeit timelessly appealing…what more could you ask for? ternally tendering to the world what has become a revered marriage of an endearingly romantic Scottish sensibility, a rakish sartorial disposition, and a storied militaristic heritage, it should come at no great surprise why many a gentleman has developed a deep fondness for the iconic and timeless plaid pattern known as Black Watch tartan. Being forevermore a classically posited checked pattern with a uniquely rendered tartan sett that stands second to none in regards to its versatility and universal flattery in wear, Black Watch is — despite being designed with camouflage rather than display in mind — without question a tastefully poised sartorial selection for any modern gentleman to invest in as well as an enduring symbol of Scotland’s national identity and a long standing tailoring staple upon Savile Row for those with a discerning eye who find great satisfaction within the confines of an understated tartan design that admirably reconciles heritage style with modern sartorial comfort. To wit an enduring symbol of loyalty, courage and sacrifice as well as an exalted evening wear stalwart that continually honours its (purported) Scottish roots whilst likewise harnessing its rebellious modern styling streak, it certainly stands to reason that you can indeed go forth in wearing your — at once refined, festively spirited and sartorially provocative — go-to Black Watch wears with pride and comfort in knowing that this most fashionably riveting, festively enchanting and quintessentially Scottish Highlander design can be sported from day to night in any tonal variance of its distinguished blue, green and black sett that tickles your sartorial fancy: from darker modern Black Watch Dinner jackets worn to holiday parties through brightly pigmented ancient Clan Campbell setts that are better prescribed for day-to-day and leisure wear upon scarves, plaid shirts and trousers. Be that as it may, if there is one universal truism that rings true of Black Watch tartan it is that it can be dressed up or down with relative ease erstwhile being exemplary — as is illustrated in the photo journal before you today — of the notion that a simple drop in temperature (or passing case of bah humbugs) needn’t coincide with a rising temptation to drop all forms of elegance and formality for that of perceived practicality or tacky gimmickry — warmth and ugly Christmas jumpers in other words. To that end you could say it delightfully marries form and function to that of style and substance with an appealing sartorial élan readily in hand unlike any other that to yours truly has aided it in its journey of coming full circle to both fully embodying the spirit of the season and instantly elevating my celebratory state of mind upon its simple wear. So, and respective of whatever it may be that incites your imagination or satiates your sartorially driven soul this time of year, here's to rejoicing in the holiday spirit and everything it entails: its distinctive aesthetics, it's ceaseless bounty of festive parties, it's specialized wardrobe parameters… and to the heritage tartan that can carry you through it all: the renowned Black-Watch tartan. And so it is with that in mind in which I will now leave you by simply signing off in saying may you all have a sartorially fulfilling Holiday season and a joyous New Year. What's your personal stance on incorporating tartan pattern into your style rotation/wardrobe? Also, what is your failsafe holiday sartorial trump card (i.e. that one article of clothing that never fails to impress)?